You read it here folks! What I am about to give you is THE absolute easiest Sourdough Focaccia Recipe you’ll ever find! If you already have been afflicted with the sourdough bug, then read on for one of the best ways to use up that cast off sourdough starter. If you’ve been thinking about baking Sourdough bread forever but haven’t taken the leap yet…DO IT! 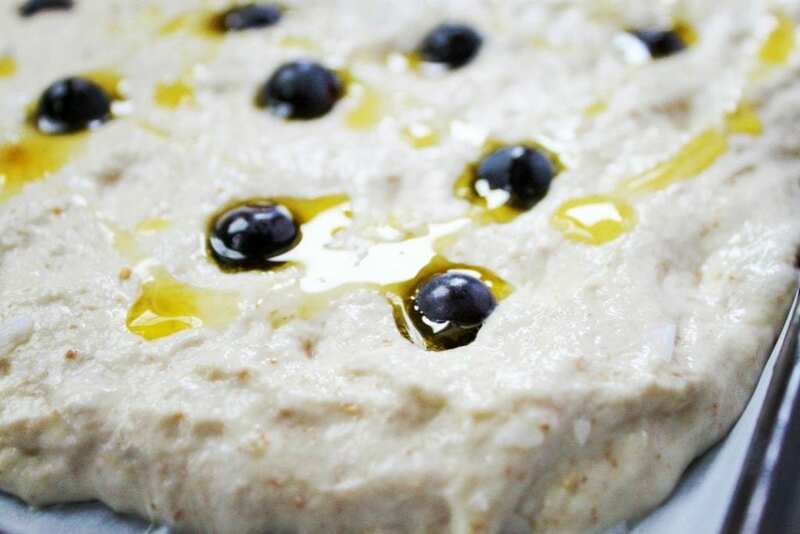 (Here’s a great article on HOW to create your very own Sourdough Starter.) It took me ages to finally take the leap and find a sourdough baking groove but now I’m turning out some really stellar loaves. Using a variety of flour combinations has also really added to the challenge. I’ve found that I love the flavour of Red Fife and Dark Rye Sourdough loaves the most. It’s been about a year and half since I’ve started baking and I can’t get enough! That would be Gluten. Admitting that I have a slight gluten intolerance is difficult. I LOVE baking BUT I can tell withing 30 minutes if a bread is made with low quality ingredients. It’s hard to believe there are so many low quality loaves containing cheap, over-processed white flour on the market. What is labelled as ‘sourdough’ or ‘artisan’ often isn’t. Strangely enough, I ate all sorts of ‘white breads’ including baguettes and croissants on our trip to France and NONE of these gave me any issues. Flour quality in North America is just different. For the all purpose flour portion in my sourdough I am currently using a widely available commercial unbleached variety. I’ve found that using this flour in a non sourdough recipe gives me digestive issues but fermenting it makes it more easily digested. Baking with a sourdough starter (in place of a commercial yeast) has changed my life. The natural yeasts in the starter break down the proteins (such as gluten in wheat) into amino acids over the long fermentation period. This means that the gluten is essentially pre-digested and the bread becomes much easier for those who are gluten intolerant to digest. I don’t want to get too technical but if you ever catch ‘Sourdough Fever’, you’ll become a bread nerd like me. Beautiful ‘Instagram-worthy’ loaves are the goal of every home Sourdough geek. Creating that perfect loaf using nothing but time, flour, salt, and water is a never ending learning process. This is because your environment is always changing and the wild yeasts change too. As long as you treat your starter right you’ll have a great basis to begin baking beautiful sourdough loaves. There’s a lot of information out there and it can get very overwhelming. Find a local baker or sourdough group (in Alberta check out REAL BREAD ALBERTA) and ask as many questions as you can. There will be many failed loaves (which are perfectly edible BTW) before you find your sourdough baking groove. Don’t give up! Using my starter to bake something beyond loaves of bread took forever. I’m not too sure why I was so hesitant but now that I’ve begun (see recipes below) I’m enjoying the benefits of sourdough in a variety of applications. The creation of this Sourdough Focaccia Recipe had me doing a little happy dance. 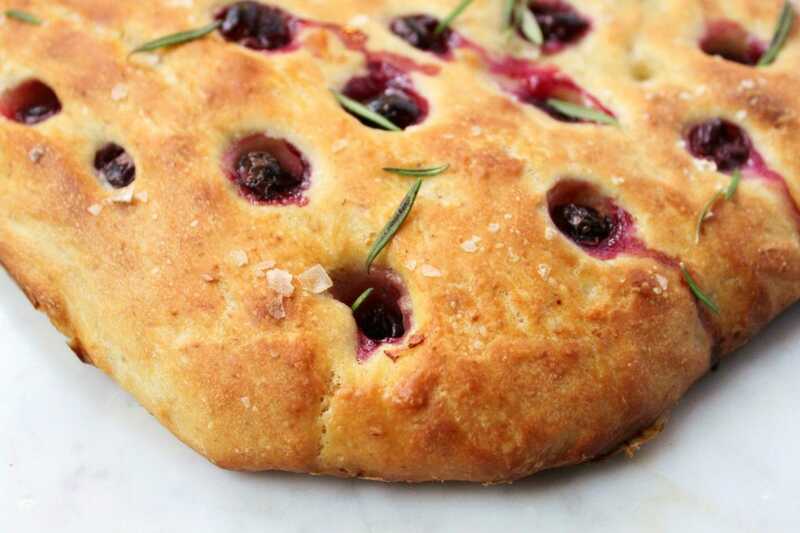 Real focaccia is fermented to get the beautiful open crumb and chewy texture. 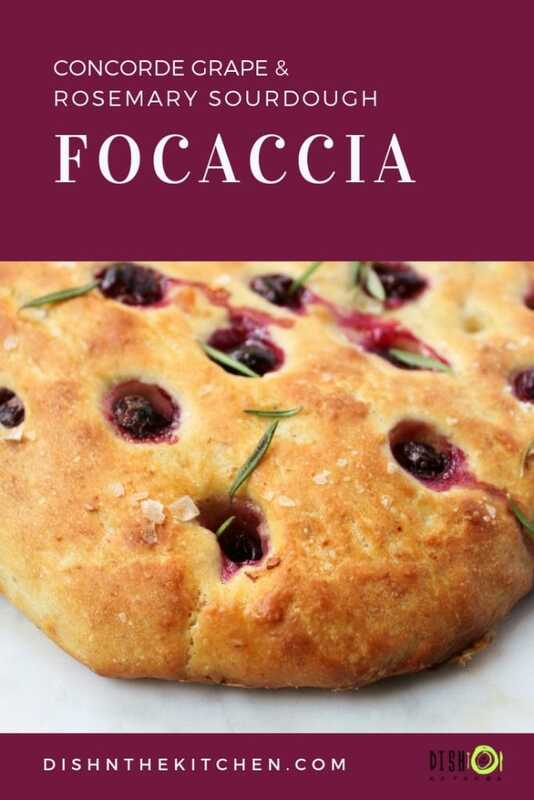 Real focaccia is NOT pizza so don’t be tempted to add more beyond a few delicious flavourings. 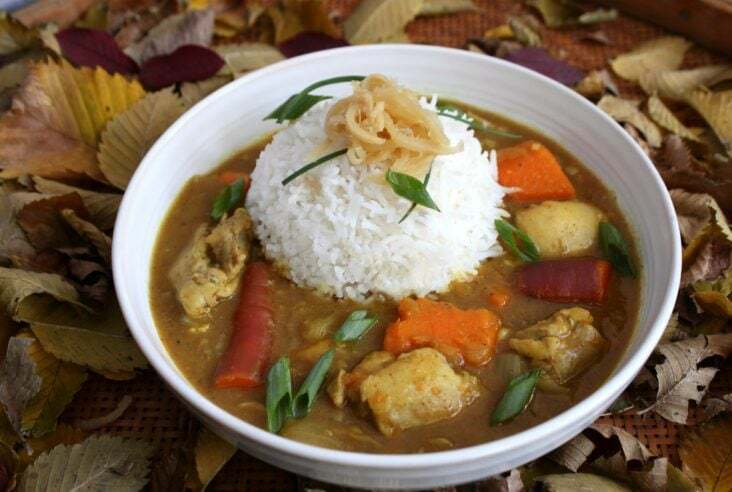 Popular choices are a sprinkling of grated Parmesan, herbs, garlic, and salt. Those classic focaccia dimples are the receptacles for the ONE focaccia essential: olive oil. 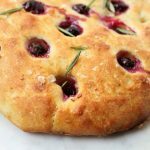 This Concord Grape Rosemary Sourdough Focaccia Recipe was a re-creation of a focaccia I had at the SAIT Tastemarket. 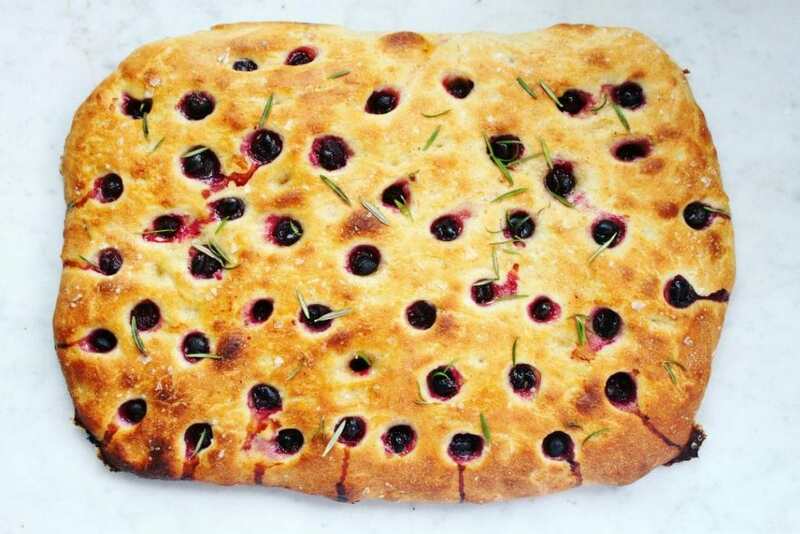 After doing some research, I learned that this style of focaccia is made in Tuscany during the grape harvest season. The Italians call it Schiacciata all’uva. 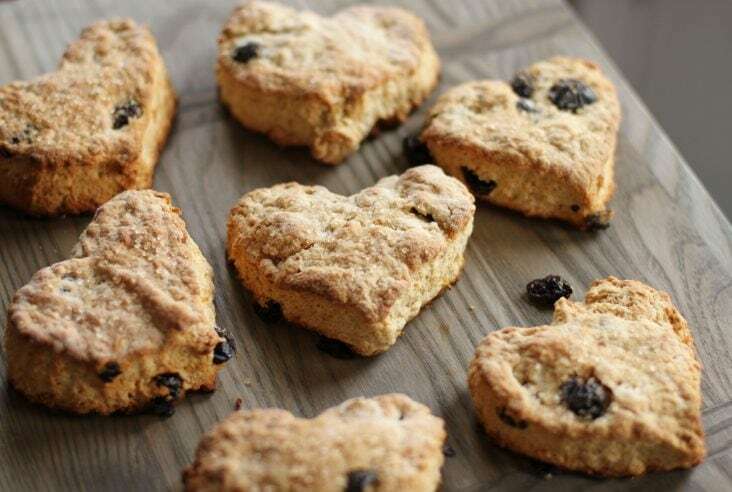 Sometimes it is flavoured with anise seed and dusted with powdered sugar for a bit of sweetness. An easy overnight sourdough focaccia bread that has a wonderful chewy texture. Full of airy bubbles, concorde grapes, rosemary, and sea salt, it's the perfect snack to serve with cheese or a charcuterie platter. Combine starter with water in the bowl of a stand mixer. Add salt. Add the flour and mix well. Scrape down sides and mix a bit longer. 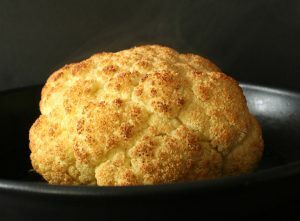 Cover and place in refrigerator 12-24 hours. The longer it's in there, the more the flavour develops. To Bake, pre-heat oven to 450 °F. Line a baking sheet with parchment and carefully turn dough out onto the parchment. Using your hands, gently stretch the dough outward until it makes a rectangle that almost fits the baking sheet. If the dough starts pulling back the parchment, allow it to rest for 15 minutes, then stretch again. Moisten your fingertips and create indentations all over the surface of the dough. Insert grapes in some of the indentations in a pleasing pattern. Press into the dough. Drizzle olive oil over all and scatter salt flakes over the dough surface. Bake for 20-25 minutes, until the dough surface is golden. Finish with fresh rosemary leaves and another drizzle of olive oil. 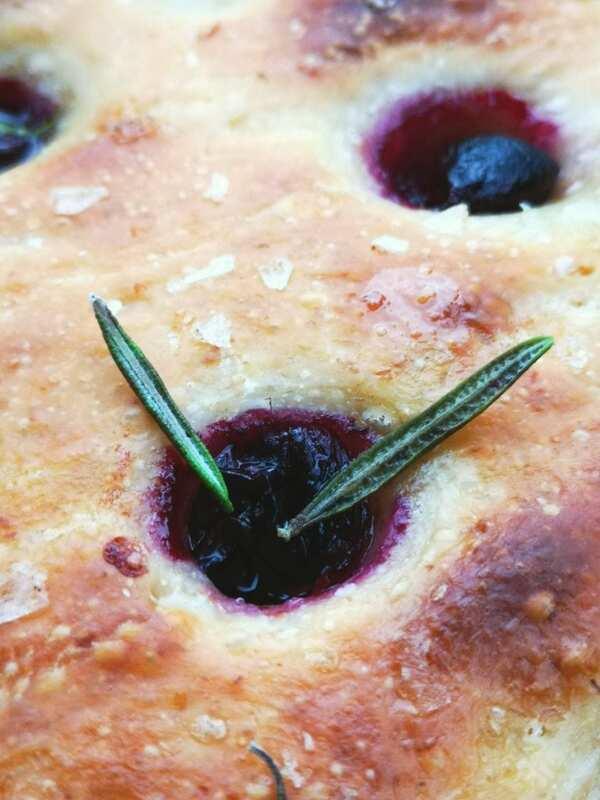 Thank you so much for sharing this recipe for sourdough focaccia bread, Bernice! I can honestly say that I am a fellow sourdough nerd, and proud of it! 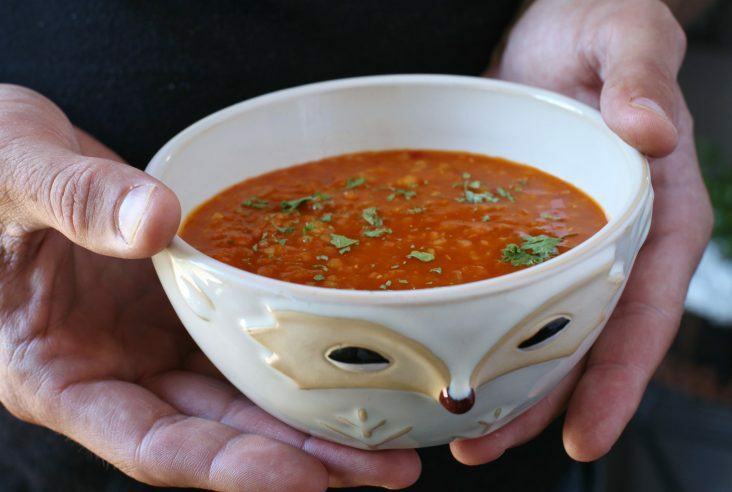 It is great to be able to use the sourdough discard in different recipes and I appreciate that you shared this recipe – I cannot wait to try it! Thanks, Bernice! Love it!! Sourdough nerds unite!